Baltimore County Executive Johnny Olszewski Monday proposed raising the county’s income tax rate, taxing cell phone lines, charging developers impact fees, and hiking the county’s hotel tax. 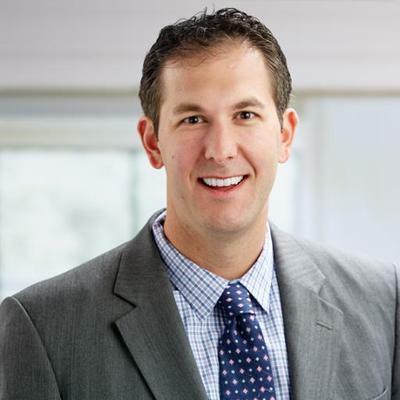 In his budget message to the Baltimore County Council, Olszewski laid out how he plans to deal with an $81 million shortfall while at the same time fund more money for education and other initiatives. "We need to take care of each other," Olszewski told the county council. "Our fates are tied together, and we're better off when more people thrive." Olszewski’s budget includes a pay raise for teachers. It also has money for 70 more teachers as well as 50 additional special educators. Olszewski is also calling for $15 million in planning and design money for a new Lansdowne High School. Olszewski said the building is literally crumbling. "The building is so ill-equiped, that it can't accomodate students in wheelchairs," Olszewski said. Olszewski said he committed to finding planning money for two additional high schools in 2022. Olszewski wants to freeze tuition at the Community College of Baltimore County, create a new position of an Opioid Strategy Coordinator, and begin planning for a circulator bus for Towson. Olszewskl proposes raising the income tax rate from 2.83% to 3.2%, the highest rate allowed by state law. Olszewski said that would mean about $15 a month in additional tax for someone making $50,000 a year. His budget package also includes a $3.50 tax on cell phone lines and raising the hotel tax from 8% to 10%. Developers would have to pay a $10,000 impact fee for each home built. The property tax rate remains unchanged. "We actually have one of the larger property taxes in the region and in the state, and I think it disproportionately affects lower income working families so I tried to avoid touching the property tax in this budget," Olszewski said. Since taking office in December, Olszewski has been warning about a dire budget to all who would listen. He held 7 town halls throughout the county, detailing the challenges of the county’s budget shortfall, driven by the cost of an aggressive school construction campaign during the Kamenetz administration. For months, observers had been predicting Olszewski will have to raise taxes, something that hasn’t happened in Baltimore County in more than two decades. Last week, County Council Chairman Tom Quirk called a tax hike a foregone conclusion. That’s because legislation died in the General Assembly that would have given the county an additional $100 million a year in state school construction money for the next four years. The county council will now go through the budget. The council cannot add money to Olszewski’s proposed budget, it can only make cuts. A public hearing on the budget is scheduled for April 30.